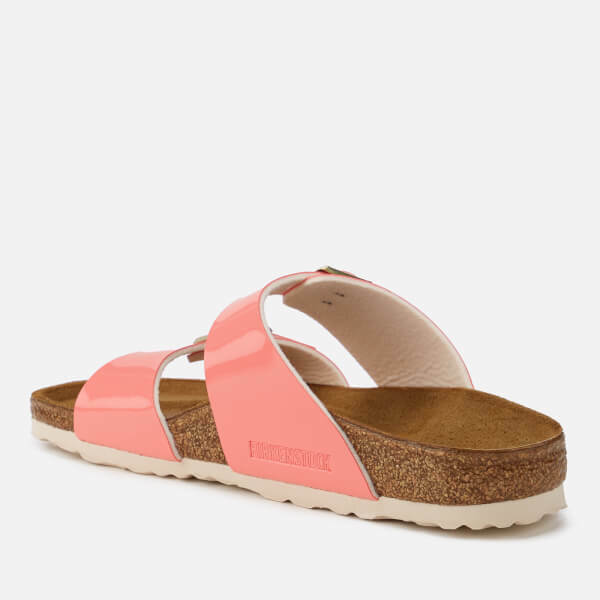 Women’s double strap slide sandals from Birkenstock in a coral-pink colourway. 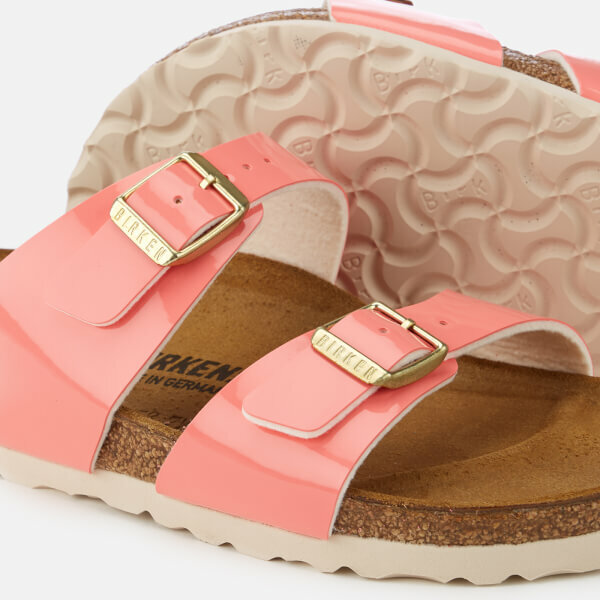 Constructed from Birko-Flor® uppers (a material developed by Birkenstock as an alternative to leather) with a high gloss patent finish, the slim fit ‘Sydney’ sandals feature dual toe straps with a traditional buckle fastenings. 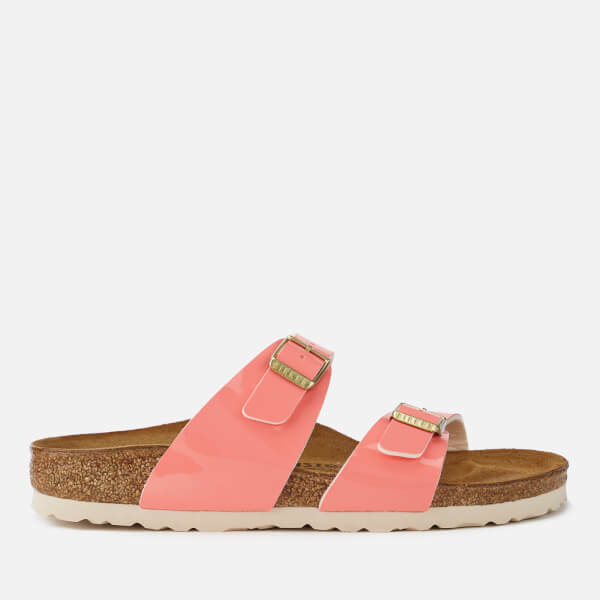 Set upon the brand's original, anatomically moulded cork footbed that supportively conforms to the shape of your foot. 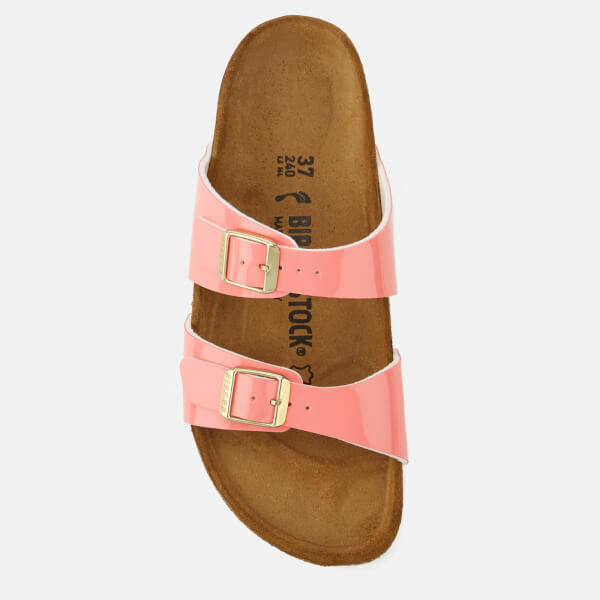 The slide sandals feature a contrasting EVA outsole that offers both comfort and support, further enhanced with a deep heel cup, roomy toe box and built-in arch support. Soft suede lining and embossed branding to the hardware add the finishing touches.